Public videos, rare footage, extract, interviews and other movies. 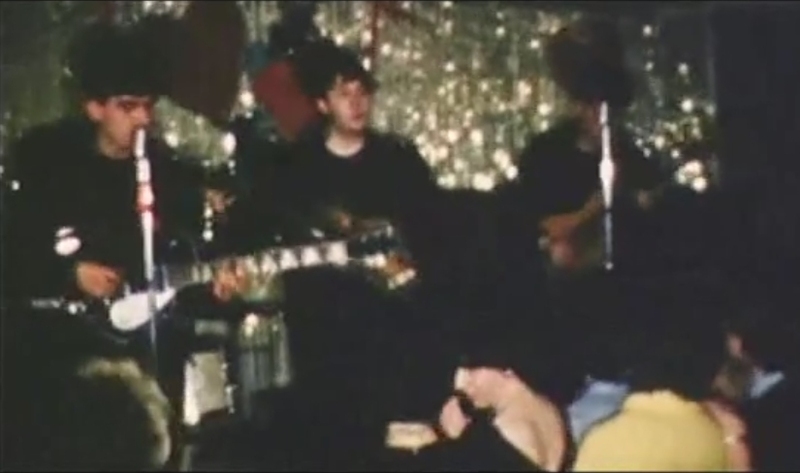 The Beatles Live at St. Paul’s Church Birkenhead, February 10, 1962. 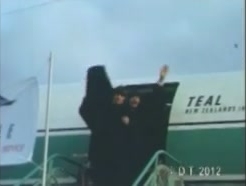 The Beatles headlined the show, with support from The Zeroes. The event took place from 7.30-11pm. Silent colour footage shot on 8mm film. Stop worrying ! Help! is on the way ! 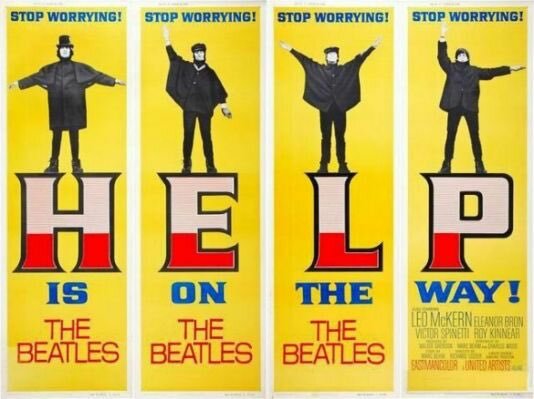 Posters of the second film starring The Beatles. Directed by Richard Lester and featuring Leo McKern, Eleanor Bron, Victor Spinetti, John Bluthal, Roy Kinnear and Patrick Cargill. 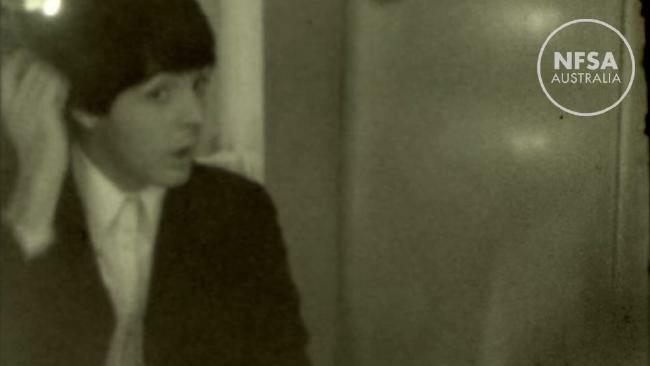 A very brief interview with the Beatles; it took place at the Hilton hotel. 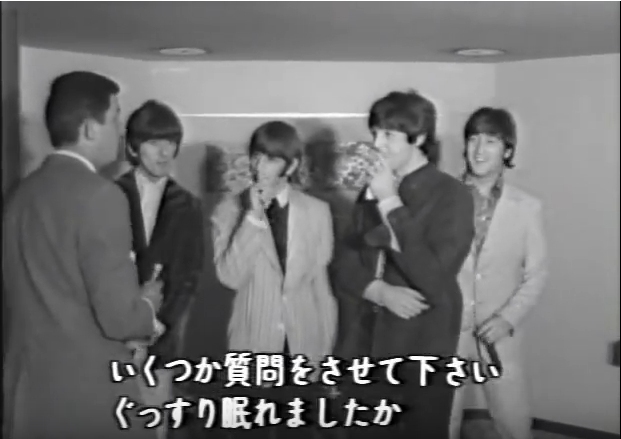 The interview was filmed for Japanese television and was conducted by the man who would introduce them on stage for each of their Tokyo performances. 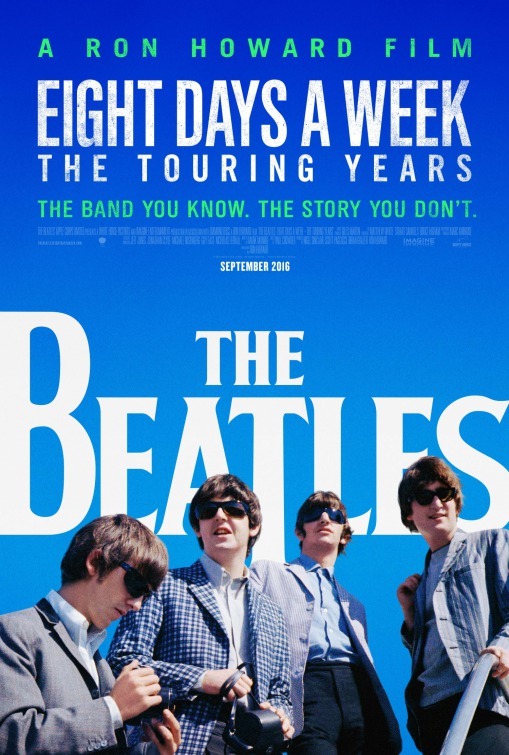 The Beatles: Eight Days A Week – The Touring Years is a documentary film directed by Ron Howard based on the first part of The Beatles’ career (1962-1966) from their performances at the Cavern Club in Liverpool to their final concert in San Francisco in 1966.